I am pleased to welcome T.M. 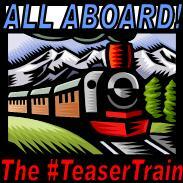 Souders to my blog for another trip on the #TeaserTrain! T.M. 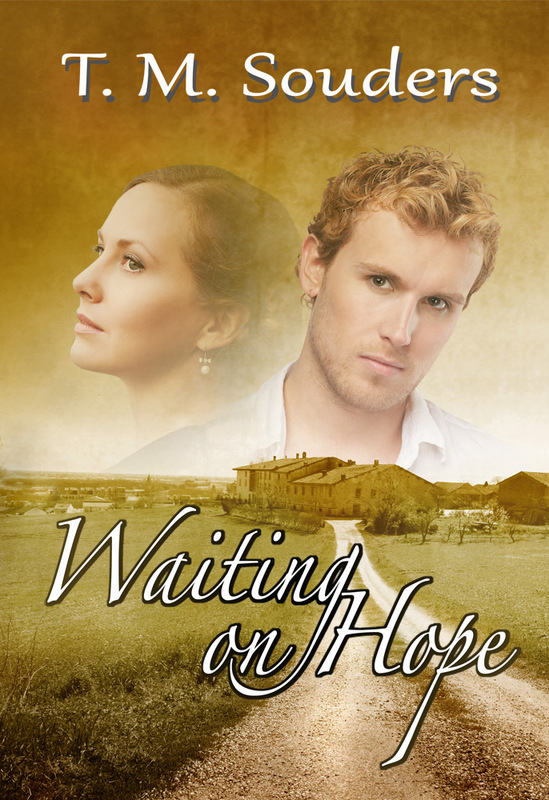 is a well established author and is gracing us with an excerpt from her novel “Waiting On Hope”. Her story deals with the struggles of a young woman forced to come to grips with a devastating situation that rocks her foundation. Her journey provides inspiration and the realization that life does go on and continue to bloom even after traumatic events. Please sit back and enjoy this taste of “Waiting On Hope”. The link to purchase this lovely story is at the end of the excerpt. “What’s going on Lex? You’re not returning any of my calls. And what’s with the horror movie locks?” Sienna asked. Her forehead wrinkled into a dozen lines. Nevertheless, letting Sienna in on the events of the last two months was the right thing to do. After all, Lexie’s affinity for lying was weak, and besides, Sienna had an ability to see straight through a person, to cut through the crap. Sienna stood, arms crossed in front of her chest, her platinum hair pulled back from her face, waiting for a response, for some enlightenment to explain Lexie’s recent behavior. “Um. They’re just a precaution,” Lexie said. Sienna continued to talk, following Lexie from the foyer to the couch in her living room. Lexie tried to make herself comfortable, but found it impossible—a notion explicably apparent in her life as of late. She fidgeted on the white sofa, which seemed to signal to her a glaring beacon of purity—suddenly out of place in the room. The pain in Sienna’s rich chocolate eyes was palpable, a confirmation of sorts of why her own pain, her own shame, should be kept to herself. How did she find the words? Part of her wanted to say it. She envisioned opening her mouth and letting them flow, forming her lips around the vowels, I was raped. The thought alone, stung like venom on the tip of her tongue. “I…I….” Lexie tilted her head back. She gazed at the ceiling, the tiny vein-like cracks in the otherwise smooth plaster. Why couldn’t she say it? She willed the words from her mind, but still they would not come. She looked back at Sienna, the hurt in her eyes latched onto the lacerations of her soul, bringing with them a new burden. Not only did she carry her own shame, but also guilt for the anguish imposed on Sienna by her silence. She couldn’t bring herself to mutter the words, I promise. Promises were for a groom on his wedding day, vowing to be faithful in good times and bad. For mothers who tucked their kids into bed at night, assuring them safety was inexplicably theirs—that no monsters hid beneath the covers. Well, she knew all about monsters—not only did they exist, but they were all around us. She knew all about promises too. By definition, they were impossible to keep. Because among the assurance belies a certainty, which carries with it the measure of impossibility, because a promise is a guarantee. What was the saying her mother always used to say? In life, there are no guarantees. What a powerful excerpt. Lexie’s pain is palpable. Well done. Wow, thank you SHaron! I was just thinking as I read it, “I should’ve used a different one. We authors are never satisfied, lol. At some point we have to say, IT’S DONE and set our baby free. We can rewrite FOREVER. LOL! Fantastic excerpt, TM! You really capture Lexie’s state of mind and her inner struggle. And both characters have individual voices in their dialogue. Plus, this is a compelling hook to give readers! Awesome excerpt and what a gorgeous cover, too! Prose that melts in your mouth. Love that–“Prose that melts in your mouth.” Can you write that in a review, lol! This excerpt sucked me in, I was feeling this character’s pain and already hoping for a better, happier ending. Very realistic and believable. Very powerful excerpt, TM! Her pain is palpable. Kellianne — #TeaserTrain number one, and I’m already seeing a lot new books in my Kindle’s future! Thank you so much Ashley! That means a lot to me to hear those kind words. I’m honored to be on your list of good authors.